When dancing is the order of the day, there is no other authority under the heavens of dance music other than Anjunabeats. It is a trailblazing movement that houses a treasure trove of trance music. It is a passion that has brought EDM trance at the forefront –whether it be as intimate as the clubs, warehouses, or as open as beaches, parks or as expansive as concert venues, stadiums, or festivals. Anjunabeats is the place to be, the hub where folks can move and groove in wild abandon. Ajunabeats is without a doubt a big crowd drawer and an exceptional crowd pleaser. Save yourself the f.o.m.o. Tickets will be selling out fast for sure so it's high time to secure your bookings as early as now. 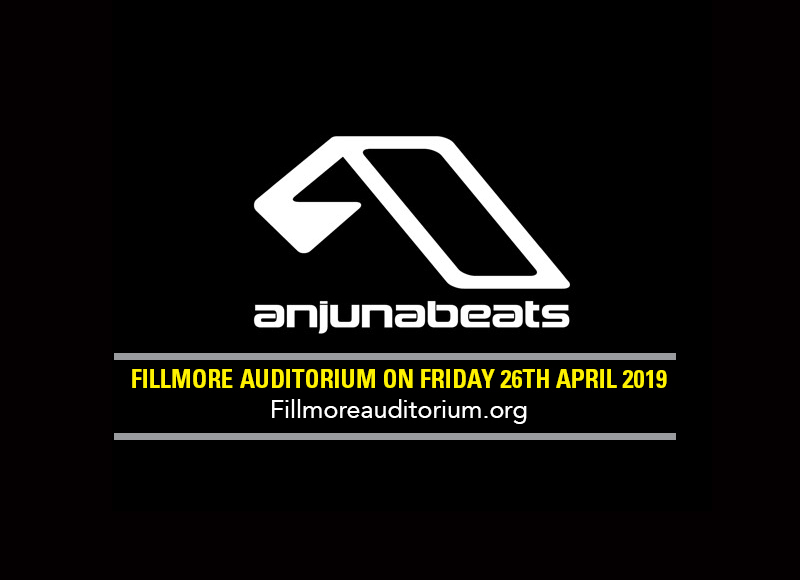 Mark this date: Friday 26th April 2019; be there when the beat drops at the Fillmore Auditorium. Popular British record label Anjunabeats was created Jonathan "Jono" Grant and Paavo Siljamäki of Above & Beyond in 2000. It is a music label that houses hundreds of trance music artists such as Andy Moor, Kyau & Albert, Arty and Lange. Anjunabeats also gave a jumpstart and propelled the careers of Mat Zo, Andrew Bayer, Boom Jinx, Oliver Smith, Jaytech and many others. Year in a year out, the International Dance Music Awards in Miami recognized Anjunabeats as Best Global Dance Record Label in the years 2009, 2010, 2012, 2015 and 2016. The name Anjuna comes from a beach in Goa, on India's western coast. During the 1960s and 1970s, it became a popular hippie destination, and still, attract backpackers and other tourists to this day. Just like the hippie movement, Anjunabeats is a culture in itself. It is a movement driven by passion. It is a hub of self-expression. It is state where mind, body, and soul move to the same beat and rhythm. It is a spirit that oozes with an exhilarating vibe. It is like a viral infection that spreads like wildfire. Anjunabeats is dance, a trance that would keep you moving and flowing like there's no tomorrow. Experience Anjunabeats in its finest hour. Get your tickets now!